While Sarah Powers does not teach the Cat Pulling Its Tail Pose, of the "big four" Yin Yoga teachers (Sarah Powers, Bernie Clark, Paul Grilley, Paulie Zink), I believe that Bernie Clark is the only one who does. 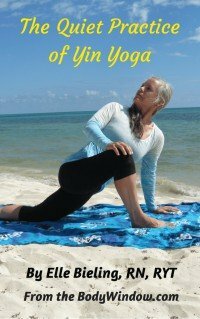 I confess, that this is not one of the poses that I practice very much, but because it is a well-known Yin yoga pose, I have chosen to include it in my library of poses. The meditative, long held poses of Yin yoga require a different approach, than the Yang-style approach. Neither are good or bad, just different and opposite in it's style. A Yang practice might serve you best in the morning, when you need to be energized and a Yin practice may serve you better in the evening, when you are preparing to unwind from your day. For me, I like alternating between Yin and Yang, flowing from an active muscular pose to a released and contemplative pose. This is the way I understand how I hold and release muscle tension in my body. If you are unfamiliar with the difference in approaches, please click on Yin Yoga to learn more. You won't be sorry you did. Mindfulness of how you practice Yoga is yet another, and deeper layer of understanding yourself and your approach to life. While Bernie Clark states this pose primarily targets the lumbar and sacral joints, I find this is not true for me. Yes, it can be a twist and perhaps a mild back bend, but my body feels it the most strongly in the quadriceps muscles in the front of the thigh. I tend to minimize the twisting/back bend part of the pose. Begin the pose by lying on your left side, propped up on your elbow as shown, below. Take your top leg, straighten it out in front of you while flexing your ankle, to stabilize you and ground you through the side of your foot. Next, bend your left leg bringing your foot toward your hip. Now reach back with your right arm to take your bottom foot in your hand. Most people should be able to reach their foot. The action of the pose is to try to pull the foot away from the hip. This is not easy to do. You should feel a pull in the front of your left thigh, and maybe in your left hip. Remember to breathe deeply and through the belly as you actively pull your cat's tail. This is not a true Yin pose, because the moment you stop pulling, the pose ends. To take the pose even deeper, go ahead and come down from your elbow to a reclining position as shown in the next photo. Keep pulling your tail, by trying to move your foot away from your hip. Here is another view of the pose, perhaps you can see its action better from this angle. 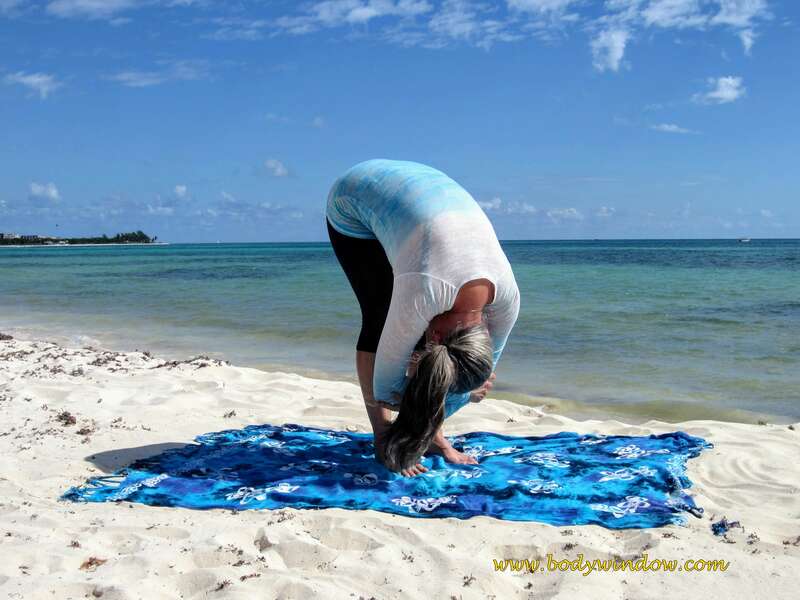 Finding a nice Yin yoga pose that opens any part of the front body, especially the quadriceps muscles, is hard to find. The very difficult Saddle Pose is one of them. This pose is a viable option. May your own practice include the Cat Pulling Its Tail, especially if you are a runner, to relax and release your quadriceps muscles! May you stay open and healthy in all things of your body-mind-soul!